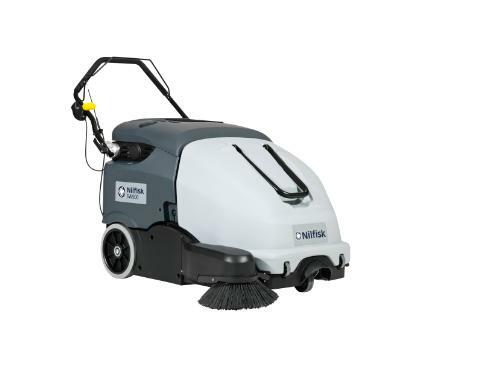 SW900 walk-behind sweeper for both indoor and outdoor use offers dust free removal of dry debris. It will increase your everyday productivity through new valuable benefits: Total control from operator position, improved ergonomics with hopper on wheels, and higher cleaning performance. SW900 will offer valuable benefits to businesses looking for a time-saving, more productive and easy-to-use machine ensuring dust free sweeping of dry debris. An ideal sweeper for cleaning contractors, industry and manufacturing, schools, warehouses, hotels, exhibition & congress centers. Higher cleaning performance and productivity.